Words cannot even express how delighted I was to attend this match. After aborted efforts to see games for three weeks in a row due to the weather, I simply couldn't face another missed weekend. Particularly as I have a great deal of stadia to visit between now and the end of the season in order to complete my project to establish best supporter's experience. 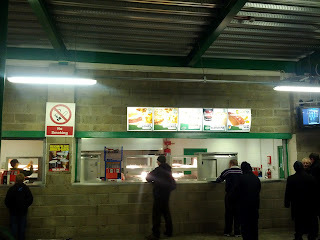 Therefore, my choice to visit Hibs was more down to a lack of other options than by design. 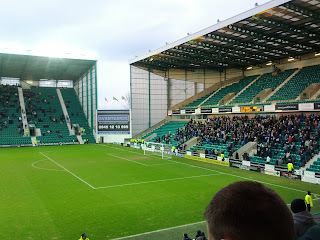 However, it was a stadium I both needed to hit in 2011/12 and that I've never been to in all my years of going to Scottish football games. All things considered, I was quite excited! Arriving at the stadium with not much time to spare, I was concerned that getting tickets and into the ground by kick off would be a non-starter. 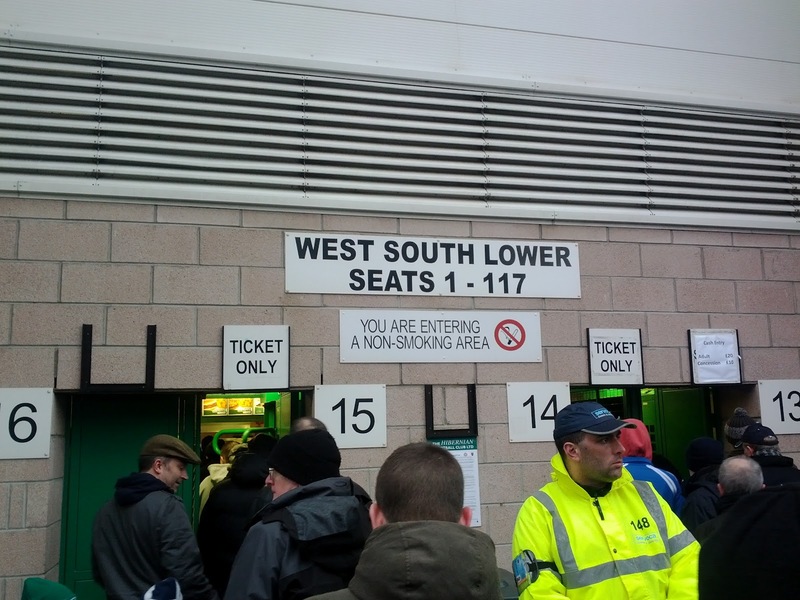 However, plaudits to the Hibernian ticket office staff (and system) as I ended up queuing for little more than ten minutes before handing over my £20 for a ticket in the West Stand (Main Stand) Lower section. Entering the stadium, I was impressed by the spacious layout of the place. I know the stand isn't particularly old and therefore should, in theory, be a well designed piece of kit. 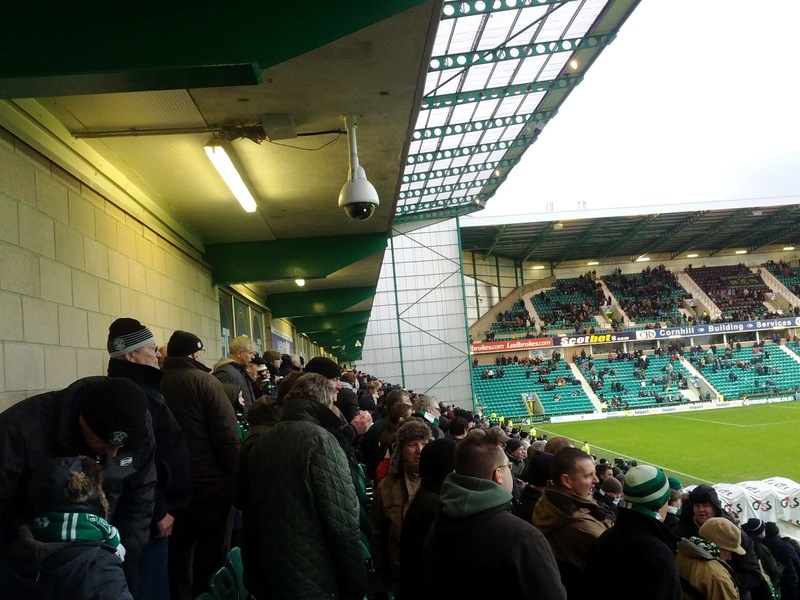 However, I have been to some ridiculously designed “purpose built” stadia before and Easter Road doesn't fall into that category. 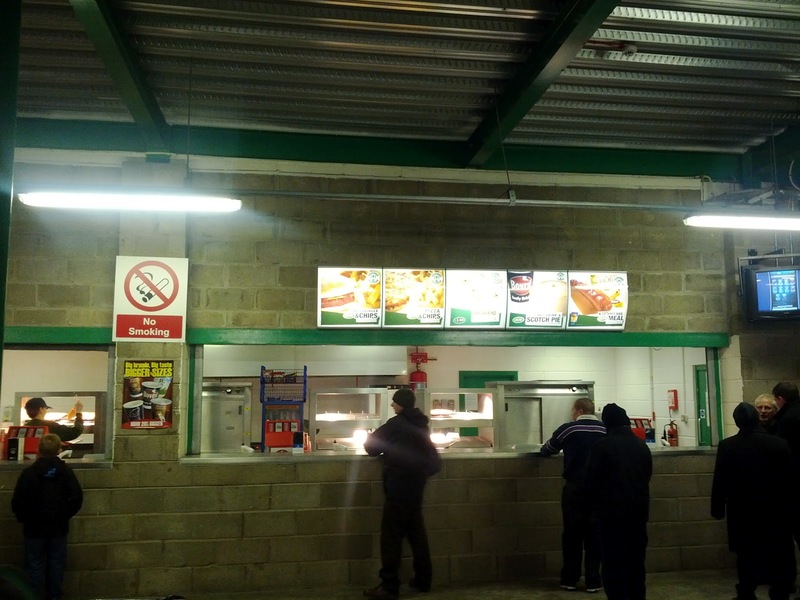 I was especially delighted by the sheer number of catering tills and people serving, meaning that again queuing was not an issue. Anyway, more of that later! Making my way out to the seats, I found my surroundings quite enjoyable. The East Stand (opposite) is single-tiered and seemed to house the “singing section”. The stands at each end are identical with the away fans situation in the South Stand to my right and another set of home fans in the North Stand to my left. My only criticism is that it may be a little too intimate at times! The seats are very small – you really do get to know the person next to you! More than that, as a decently-sized bloke, there maybe wasn't a great deal of leg-room. Overall though, good stadium. Nice to be in. 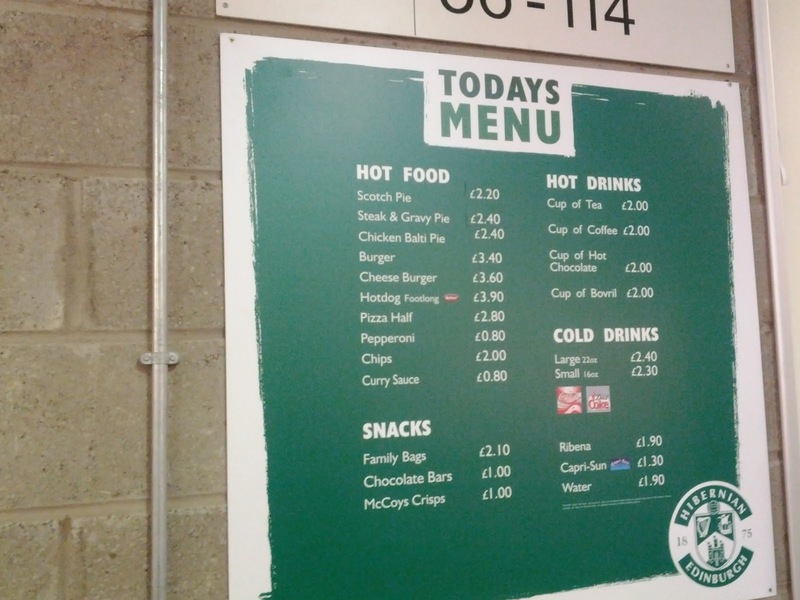 Back to the catering: £4.20 for a pie and a cup of tea is a bit of a scandal, but it's what you come to expect of an SPL ground (or....at Queens Park) so there's not a great deal of point in protesting about it. The pie was fine, if not a bit overdone. The tea was also quite acceptable. Just not worth £4.20 collectively. I was impressed by the variety on offer, though including a tasty looking Pizza and Chips and the famous Kid Shot Dog Meal (I think Kid's Hot Dog Meal) and the Wrappé – it looks like a Wrap...but it's not. 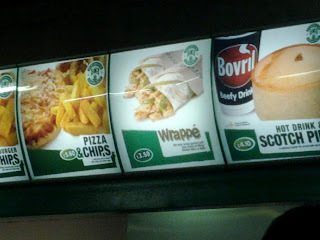 It's a Wrappé. Very different I'm told! Where do I start when it comes to the fans? Well...firstly....I have to say that I found the Hibees fans to be a fantastically bizarre collection of individuals. A couple of rows down sat two young lads who seemed intent to giving poor David Wotherspoon a hell of a tongue lashing for the 90 mins. Unfortunately for them, Super Woman was sitting a further couple of rows in front. Not the actual super woman...just a woman....but one who was having absolutely none of their foul-mouthed ways and who proceeded to publicly chastise the boys for their disgraceful conduct during the match. Extremely entertaining. Oh..and then there was the guy three seats along and one row down. There's no doubting this man's passion for his club that's for sure. The poor bugger went through every single emotion that you could think of during the cup-tie. At one point in the second half, he threw his head back and shouted with such aggression that I honestly felt a Policeman may have accidentally tazered him. Honest to god, he was seconds away from a major heart attack on at least seven or eight occasions! Other than this fella who probably supported his team with an unhealthy passion, I'd say that the majority of Hibees around me supported their team with an extremely healthy passion. Despite being pinned back for long spells by Killie and the team's defensive shape, the team's victory was met with unbelievable cheer – as if they had won the cup itself. More than that, even at the times when they were expressing frustration, it never translated into their having a pop at players. Overall, I really enjoyed being in amongst them. Except heart-attack man. I've not had my first-aid training yet. I don't know if I could go each week and worry about when his head would finally explode. In terms of entertainment, Hibs won no points for open and attacking football. 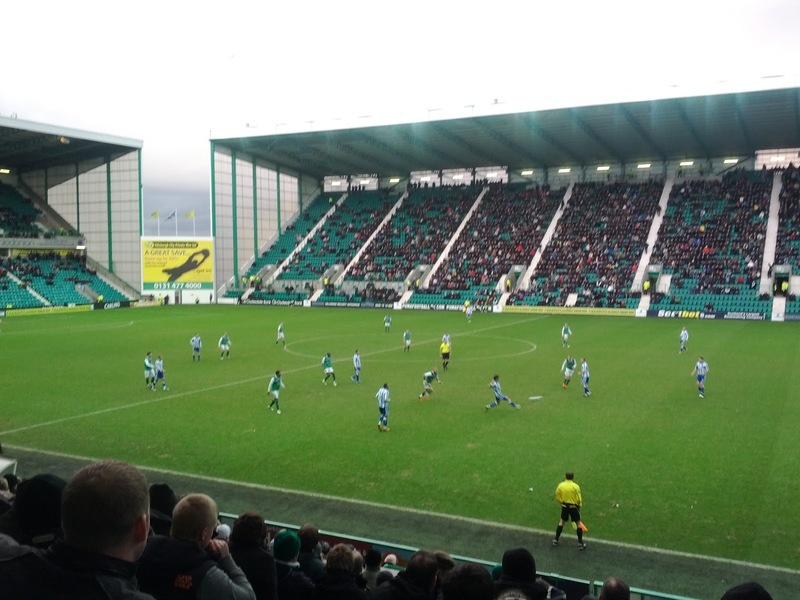 However, I am a fan of the tactical side of the game and Pat Fenlon is clearly trying to turn Hibs into a very defensively solid and difficult to beat side and this was evident against Kilmarnock. 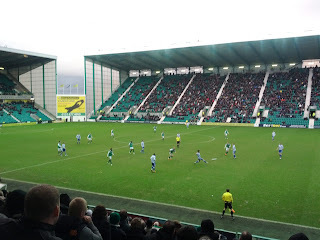 For the first twenty mintues, Hibs combined decent attacking play with solid defensive work and were rewarded by Eoin Doyle's early and ultimately winning strike. 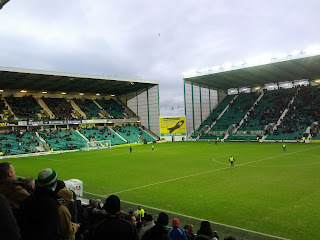 From then on though, Hibs really did just shut up shop, played extremely well defensively and closed Kilmarnock out. 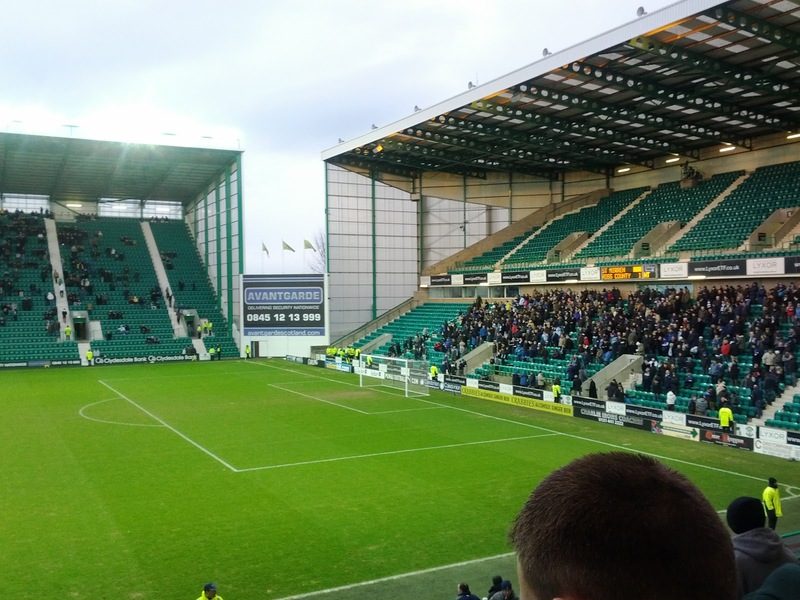 With that said, I can't really say I was entertained by Hibs. I admired what they did and enjoyed the tactical nature of the game but over the course of a season, if Hibs were to play like that each match, i'd struggle to become enthused. James McPake – what a loan signing this is for Hibs. The new skipper was outstanding at centre half, winning every header that came near him, marshalling his back four superbly and distributing ball well from the back. A stand out player. Paul Hanlon – the big man was excellent. Clearly comfortable playing alongside McPake and not the basket case i've seen in so many games on the TV this season. Really good show against a couple of decent Killie forward players in Heffernan and Dayton. Pa Kujabi – Hibs new Gambian left back was brilliant! He was not only fantastic defensively, but was equally as good going forward, making many a positive run and offering an attacking threat and counter attack option for Fenlon's side. He seems like someone who will genuinely get a crowd excited. I'm looking forward to seeing more of this fella! Okay so for £20 I was quite pleased with my lot. The football could've been a bit more free-flowing and attacking but tactically it was good to see what Fenlon was doing...and to see it come off. 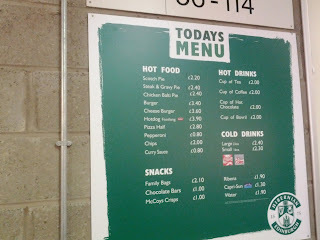 The food was fine, if a little pricey and the stadium was really quite nice to be in. 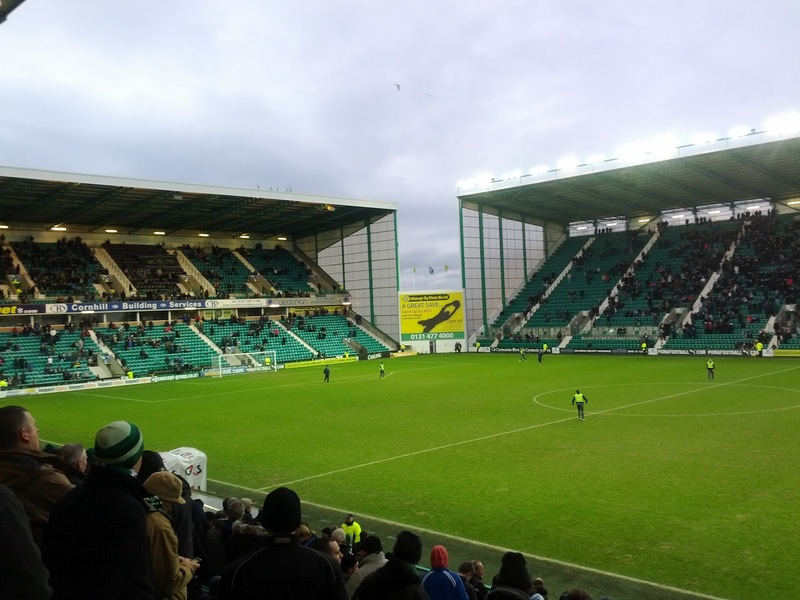 My recommendation when it comes to Hibs is to head along if you're going to be in Edinburgh and want to take in some football. I wouldn't maybe say they were a “must-see” based on this particular experience. Decent though and scored accordingly!